« Glory, glory! Red is the colour! Or maybe not. 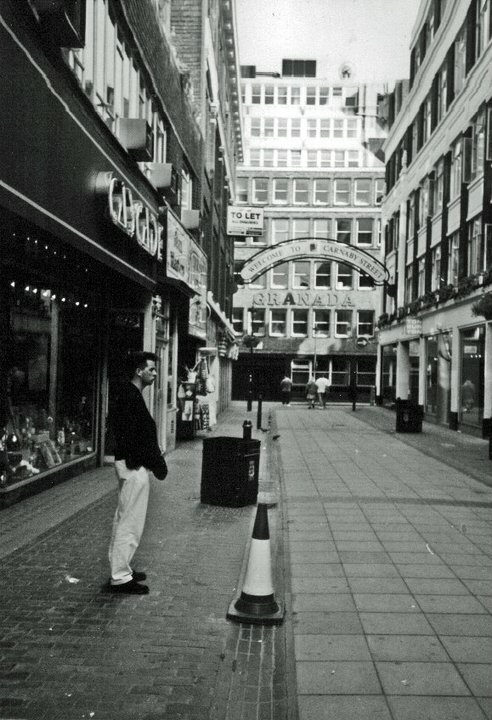 Greek Street is part of an area of London I knew very well, and it provided me with a wealth of wonderful, semi-youthful memories – some of them admittedly hazy. Two things struck me about this. Firstly – the part about 20 years ago. I don’t know about you but, at the time of writing, I’m 42 years old, but still, when I see “20 years ago” written down, I’m imagining an era of fewer cars, kipper ties, flared trousers, and Z-Cars still being on telly. But then it struck me, in the manner of a lorry going at full pelt, that “20 years ago” was 1992, and I’d already been living in London for three years. Where have all the years gone? Secondly – Adrian Gill’s circles, even then, were vastly different to mine. Obviously, as a poorly waged shop assistant, I knew the type of restaurant to avoid and they probably were the ones who were all about snobbery. 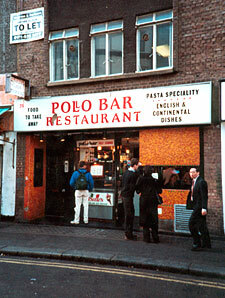 But I always found Soho to be a hive of value-for-money places to eat. 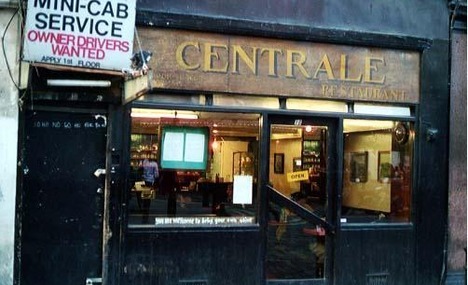 My favourite, albeit on the fringe of Soho in Cambridge Circus, was Centrale, a tiny, run-down hovel of a place, with chipped formica tables, wooden benches and not even a sniff of an licence to sell alcohol. Here, what appeared to be an extended family of indifferent, verging on downright grumpy, Italian matriarchs would rustle up magnificent, mountainous portions of pasta or gnocchi for next to nothing. Their only proviso, much in keeping with neighbouring Chinatown, was that you eat up quickly and bugger off to let someone else spend their fiver. It was wonderful. Sadly, it is long gone, and I now regret that I didn’t go more often – not that anything they served was outwith my own kitchen repertoire, but just the idea that the 20-something me didn’t realise that being so well fed for so little money was going to end up being the stuff of memory alone. Not far down the road from there, on Old Compton Street, was Pollo Bar, another cheap, but slightly more cheerful, Italian outlet with a seemingly endless menu of pasta dishes and pizzas. It also had the most drinkable table wine with which to wash it all down. I went here as frequently as I did to Centrale, often alone, on nights when the inevitable loneliness of the big city began to get to me. That said, the occasion I recall most was a 1991 work Christmas do in its basement, which started with light refreshment and ended up in sambuca abuse. Still, all was merry and came with a bill that didn’t involve cutting the Christmas present budget. Apart from restaurants, one of the things I enjoyed most about Soho’s streets was its plethora of tiny coffee bars – I could cheerfully wander around the streets, looking in shops, and stop off for a quick coffee here, there and everywhere. 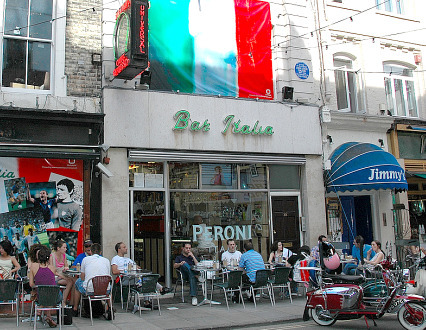 Obviously, there still is, and always has been, the wonderful Bar Italia on Frith Street – a place I almost ran to on my last London visit. But there were many more, all apparently gone, either replaced or put out of business by those awful chains of cod-west coast American nightmares, where “coffee” (i.e. brown coffee-scented gravy) is sold in gigantic buckets and lurks under a foot of thick, beige sludge – I believe they have the audacity to term this caffé latte or even cappuccino, but I’m sure you’re clever enough to ignore the labels. I am, of course, heart sick about the demise of these little, family-run Italian bars. What these American places have done is ruined what coffee is all about – an entire generation has grown up thinking that that’s what coffee should taste like, that that’s how it should be served. My rule of thumb with coffee has always been the same – if I know that a cafe’s merchandise is going to be inferior to what I can make at home with my Moka Bialetti, it’s not worth paying for. And most coffee isn’t worth paying for. I digress; my point was that Soho, in my experience, was always a place where food culture was alive, where I could eat well, and report home to Mamma and Nonna that I was well fed and would, so long as I remained gainfully employed, remain so. I’m glad to know that it hasn’t changed that much. God bless Soho. This entry was posted on May 21, 2012 at 12:46 pm and is filed under Food & Drink, Pointless Nostalgia, Travel. You can follow any responses to this entry through the RSS 2.0 feed. You can leave a response, or trackback from your own site.